Olansi is delighted to announce to you their new website http://hydrogenwatermaker.net. Build, designed and managed by the company’s advertisement team, this website will focus on providing more information about the company, explain to customers everything regarding their products, and serving readers with latest updates about water treatment. Olansi hydrogen water firm was actually established in 2006, and is strategically located in Guangzhou, China. It is a water treatment limited company that specializes in professional manufacture and exporting of top-class hydrogen water maker equipment. The company additionally offers water related accessories, water dispensers, water purifiers,air purifiers, water filter kettle, hydrogen water pitcher, portable hydrogen drinking water bottles,hydrogen water machine, and hydrogen high water generator. Olansi boasts of a powerful R&D team that comprises of highly skilled & qualified designers and engineers. The team is capable of launching at least one new water accessory every year. They additionally provide ODM and OEM services to their customers. By visiting their new website you will now perfectly understand how the company achieved its certifications including the National Drinking Water Products & Health Safety Certification issued by the Ministry Of Public Health In China, the Chinese National Mandatory Product 3c Certification, and the ISO9001:2008 Quality System Certification. You will also learn that with the sincere and excellent quality services, the sales volume of the company doubles each year. The website will elucidate to you how exactly this factor enables Olansi to inspect water products, test equipment, purchase top-rated production, expand their factory, and develop top technology. Olansi is currently one of the leading water products manufacturers with averagely 11 R&D staff members, 50 inspectors, 16 salespersons, and over 200 operators in their 200 square meters factory. They focus on serving all customers equally with market continuous utility, convenience, innovation, and reasonable price in mind. This is what majorly earns so many clients. Olansi official website http://hydrogenwatermaker.net,not only provides you with information about the company and its product. 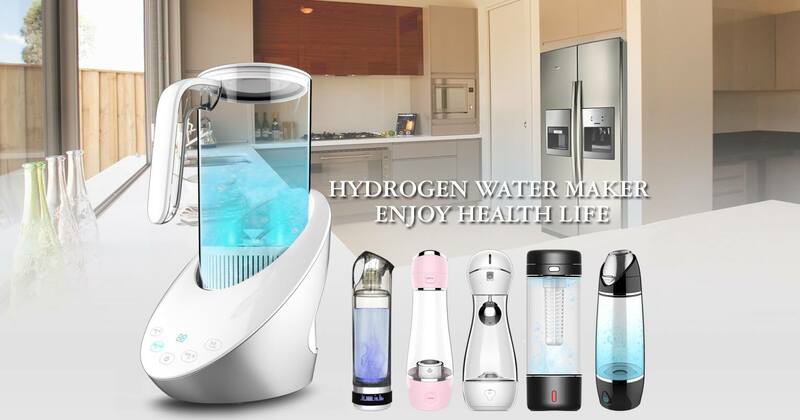 Under the Hydrogen Water Maker category it serves you with simple, easy-to-understand blogs explaining everything to do with the hydrogen water maker machine. Get updated on where to get the machine, learn how to use the machine, understand how to maintain it, and know what to do when it needs repair by simply visiting the relevant site’s category. While still under the same category, Olansi goes ahead to explain to you vital topics regarding hydrogen water consumption. Get to learn more about topics such as the standards of good water,causes of free radicals in water, the principle of hydrogen oxidation, the benefits of drinking enough hydrogen water, and the role of hydrogen water in the human body. The good his is that the company manufactured the hydrogen water bottle, which improves overall health and promotes detoxification. It additionally betters that taste water and at the same time perks up the quality of its elements. The launch of their new website will certainly make them more efficient and much reachable. Of course,you should consider visiting it soon to learn how it works. Guangzhou Olansi Healthcare Co., Ltd is a Chinese brand that has been developing various water making and air purifying machines. They have been in this field for a long time now and the professional engineers test the products before it is dispatched to the end consumers. Buyers can check out the website mentioned above in order to know more about the company.